Jeremy Barton joined Chambers in 2005 and has built up a successful practice both defending and prosecuting serious criminal matters. Jeremy has vast experience across a wide range of criminal offences from the most serious sexual offences through to matters of violence. 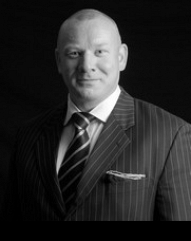 Jeremy has particular experience of matters covering fraud and white collar crime. He has been involved in a number of high value MTIC/Carousel frauds, predominantly defending and has a sound knowledge in this area of work. Jeremy also operates a busy civil/regulatory practice which covers three distinct areas. Those areas are Finance, Police Discipline and Medical Defence. In relation to police discipline, Jeremy has successfully appeared at every level of misconduct hearings, through all appeal processes and Judicial review. Most notably, Jeremy represented Sergeant Mark Andrews through every stage of this long case including all criminal jurisdictions. In addition to police discipline, Jeremy is an approved advocate through the Medical Defence Union and can receive instructions at Interim Order Panel Hearings and Misconduct Hearings before the General Medical Council. He is also approved to appear on behalf of the medical profession attending at Coroner’s inquests and before the General Chiropractic Council. Jeremy is accredited to accept instructions through BAR direct access and takes great pride in delivering a first class down to earth service to both his professional and lay clients. His tenacity to obtain the best results in the most difficult cases combined with a passion for advocacy is what motivates Jeremy.